I think of a talented person as an artist, a musician, an actress, or an athlete. None of those apply to me. But the definition of talent is “natural aptitude or skill” and we all have these. Setting modesty aside, I can cook, I have great analytical skills, and I’m a good listener. But I’m not a gourmet chef, and the benefits of being analytical or a good listener are hard to quantify. I can write, but I’m not a literary giant. If I’m not the “best”, does that mean I shouldn’t write? Logically, the answer to this is “Of course I should write if I want to.” But too often I resist. What stops me and others from using our talents? Luckily for us, Edith eventually did write novels. What if she had allowed that thoughtless comment to prevent her from writing? We might think Edith was overly sensitive, but aren’t we the same? One person makes a negative remark about our creations and we lose our confidence. I recently planned a retreat with seven women for a local church, and we talked about using our talents for the retreat. One woman, Gloria, said she had no talents. However, as part of our formation as a team, we each told our life story and brought pictures. Gloria brought a photo album full of costumes she has created for Halloween and other events. The rest of us said, “What do you mean you have no talents?” Gloria is the most talented seamstress and craftsperson that I know. She creates doll clothes and costumes for plays. But it took time before she recognized herself as talented. Perhaps our talent is so much a part of us that we miss the obvious. If we cook every day, we might take it for granted and not recognize it as a talent. One reason we minimize our talents is that the world might not recognize it. Someone who uses her talents in a visible career is likely to be noticed. An example is the very few costume designers who win Oscars for the costumes they created for a movie. But if you don’t have a great career or you are not the best, you still have talent. Some people are great volunteers. When something needs to be done, you can count on them. That is a talent. We are all different and sometimes our job is simply a place we go to make money. We are there to make a buck and support ourselves and our family. That is fine! But we can still use our talents to better the world. Is there some place in our life where we can use our talents–perhaps at church, in our neighborhood, in the arts, or in a hobby? 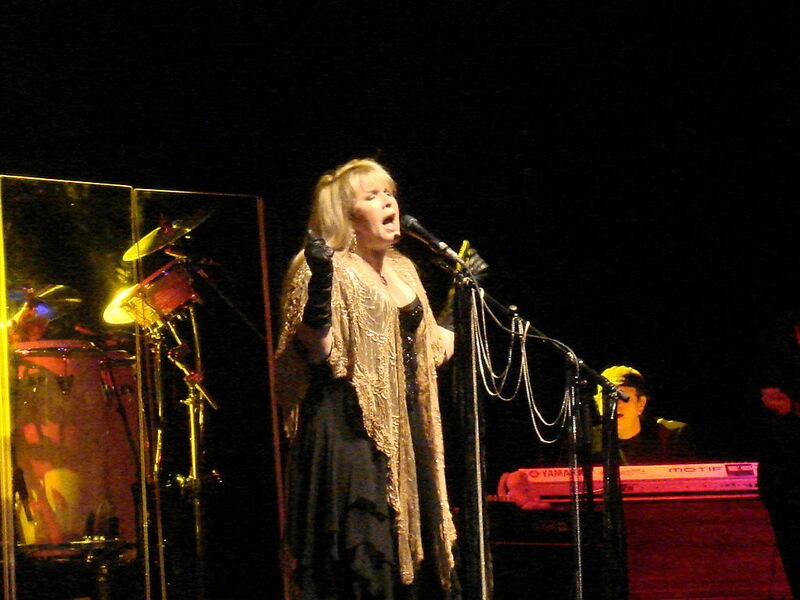 Maybe you like to sing and you have a good voice–but you’re not Adele. Well folks, there’s only one Adele. Other singers can use their talent in their own way. What about singing in a church choir or performing in a local play or singing to your kids? Whether it’s dancing or crossword puzzles, you can find a use for your talents. 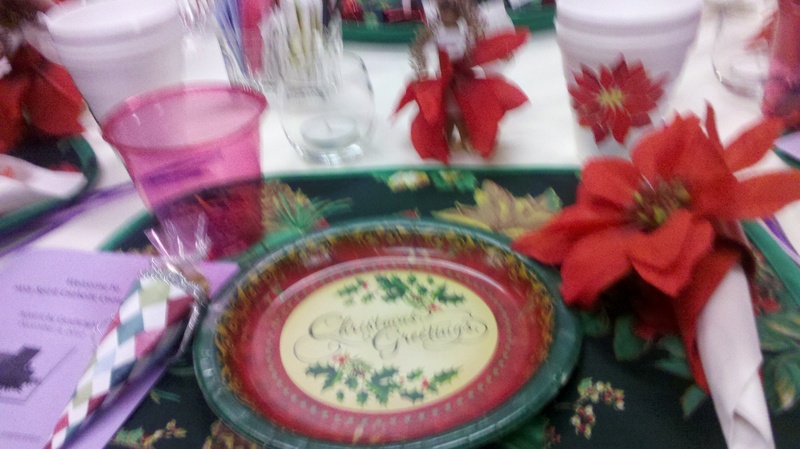 The picture above is the beautiful place setting that Gloria made for each of us retreat planners for an Advent tea. She sewed the place mats and created the floral accents and a centerpiece (not pictured) for our enjoyment. This made the rest of us feel special. Gloria also used her talents at the retreat we were planning by creating bracelets and a beautiful Bible cover for each of the women. My sister Mary, who attended the retreat, said, “I can’t believe how talented Gloria is.” May those of us as modest as Gloria let that sink in. The world is in sore need of our talents whether they are recognized by others or not. If you are not using your talents, it’s time to begin. What are your talents? Are you using them to improve the world? If not, why not? If you need help overcoming resistance so you can use your talents, I recommend the book The War of Art by Steven Pressfield. I will revisit it myself! This entry was posted in Empowerment, Inspiration, Leading Ourselves, Motivation, Proactive, Talent and tagged Empowerment, Inspiration, Leading Ourselves, Motivation, Proactive, Talent. Bookmark the permalink. How wonderful, Susan! Everyone should read this article…what uplifting, inspirational writing! It is always the little things that count and so often these are they very things overlooked…simply because they are the simple things of life! What a much needed post and message Susan. At 58 I am job hunting and after many years in ministry work, I often say I have no talent or “marketable skills”. Thanks for this, it is very encouraging. Many talents are used in ministry work! Some might be public speaking, the gift of exhortation or encouragement, listening skills, teaching, counseling, hospitality, etc. Best wishes with your job hunt. Keep the faith. If you’ve been in ministry, you probably have the ability to connect with people you don’t know–that’s another talent: networking. You are so right – ALL of us have some talent or the other, but it’s just that we don’t recognize them ourselves because we are made to believe we are not talented. Sadly, some parents are often to be blamed as they don’t let the child bloom or explore his or her talent and nip it in the bud, which makes the child feel he/she isn’t capable. Just as the examples you mentioned, its much later when we grow up and mature, do we realize that we are talented when others talk or see our talent and tell us of it, which makes us feels confident of ourselves. Ah Susan, I was able to resonate with this one too. I remember coming online and just falling on my face time and time again. I finally hired a life coach and she asked me what was I passionate about. I told her nothing. I mean I didn’t have any hobbies, not anymore. There wasn’t anything I just loved to do or I thought I was good at. We never see ourselves the way other people see us. Thank goodness for that because they can help bring out the best in us. Thanks for helping us all realize that we don’t have to be an actress or a well known singer to have talent. Thank goodness for that right! I agree, Adrienne. We can be grateful for the talents we have, and a life coach can help us figure that out. I’ve hired coaches for short stretches, and they’ve helped me be more confident. I found it worth the cost, because we only have one life! A life coach can help us be the best we can be. Thank you for your visit! I urge my readers who are interested in achieving success online to check out your work at http://www.adriennesmith.net. 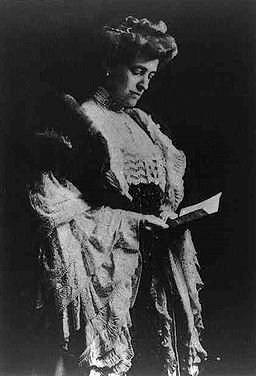 I really liked the Edith Wharton story! I remember a youthful attempt at a story that I showed to my mother and wished to submit to Seventeen. Don’t know if that magazine is still around. I don’t remember what she said, but I remember feeling discouraged and thought the story wasn’t’ good enough to submit. Sandra, Thank you! I’m honored by your nomination and will collect the award soon. To my readers know that Sandra is very talented and has two blogs, Quirky Books that you can link to above, and also Beat Redundancy Blues at http://beatredundancyblues.wordpress.com. Hi Susan, you truly deserve the award. I fully support Women In Business and anyone who strives to achieve the best that they can be in life. I appreciate your support of both of my blogs that is so lovely of you. Isn’t it a shame how so many of us walk around thinking that we have to be phenomenal at something to call it a “talent”. I grew up under the shadow of a very artistic older sister and walked away with the belief that I would never be as talented as she was, so why try. It wasn’t until I was in my mid-40’s that I finally gave myself permission to explore this side of myself – without judgement. The writer and artist in me is having an absolute blast! I am glad I’ve found your blog with wonderful and resonating posts! We should always acknowledge our talents or else we could just taken it for granted as ordinary doings. Even if we are busy doing a living for our daily expenses, we should always make time to release that inner passion. Like Dianne’s Story, I will be sharing the way to her story here http://fullwattage.com/finding-your-dream-job/. Thank you so much Susan! More power!